The six-piece progressive juggernaut from Washington, DC is headed to Australia next month to throw down some tunes from the band’s latest album. The guys behind Periphery have been busy putting together their fifth album, Periphery III: Select Difficulty, and it’s tight and technical. You’ve got Misha Mansoor (lead guitar), Jake Bowen (rhythm guitar), Matt Halpern (drums), Spencer Sotelo (vocals), Mark Holcomb (guitar) and Adam Getgood (bass) creating some head turning music this year. TEO was lucky enough to catch hold of Jake to chat about their new album. 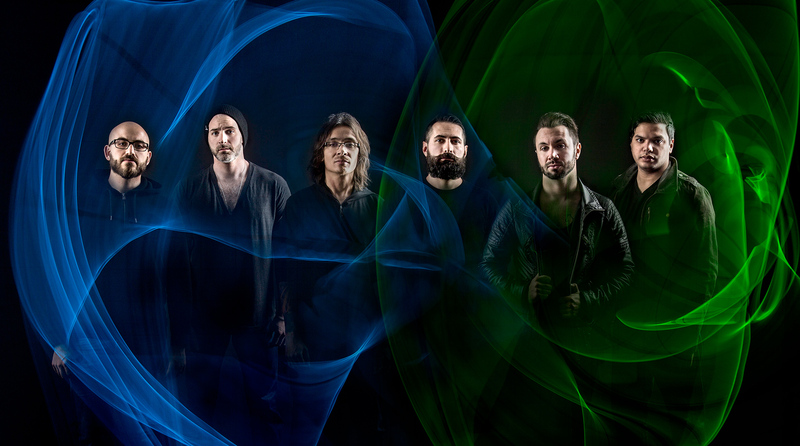 TEO: Your fifth album Periphery III: Select Difficulty hit the stands a few months ago. I have to ask: in putting this album together what would you say the difficulty level was? Jake: I’d say, overall the whole thing was really smooth. We have this method of writing and arranging where everyone gets to contribute and feel good about their place in the song writing and recording process. So, while the music is extremely demanding and technical to play, the whole process went so smoothly. You created intertwined concept albums with Juggernaut Alpha and Juggernaut Omega, how does Periphery III fit in with your back catalogue? Material-wise, it’s our best stuff. With Periphery I and II, the instrumentals were written before the vocals were conceptualised, so when we wrote the stuff for Juggernaut and for Periphery III we had vocals in mind. And when it came to the arranging and the instrumentals we wanted to make space for the vocals because they’re just as important as the guitars, drums or bass. After we recorded those two first albums, we thought the vocals sounded like they were placed on top of this very elaborate music, and we wanted to write it all together. So, when we started doing Juggernaut, that’s when we started exploring how to do that. Periphery is a progressive metal band, but you’re also described as ‘djent’. How would you describe the djent movement in comparison to prog-metal? I still prefer the term progressive metal because when I think of progressive metal I think of Dream Theatre, Opeth, Meshuggah and Devin Townsend—bands and people who have a unique sound and who aren’t afraid to experiment with various instrumentation and dynamics. And that’s what I hope for Periphery. But if you want to call it djent, that’s great too! And the one thing that I really like about it is that people think it’s unique enough to put a name to it. The music video for ‘Marigold’ is really something, who’s idea was the animation? The animation was conceptualised and put together by Wes Richardson. He’s done our last few videos and he always comes up with these entertaining concepts. We like to stick to the philosophy that if you couldn’t hear the music to the video, you’d still watch it because of what’s transpiring on screen. You’re touring Australia in February and your last headline tour here sold out, are you excited for the rowdy Aussie crowds again? Oh, everybody there is so awesome to us! Every time is better than the last; the fans are super supportive, the food is great and the shows are always top notch. I can’t wait! Previous postLESSONS LEARNT AT UNIFY 2017 Next postFASHION EDITORIAL: MY LOVE, I KNOW YOU LOVE ME, TOO.